Credit ratings have a huge impact on the amount of credit and interest rates being offered by lenders. It’s an essential element of credit health. When clients submit any credit applications, lenders will want to clearly understand all risks they would face by lending their money. Upon ordering credit reports, lenders could also obtain credit scores relating to the documented report. Credit scores are numbers that review potential credit risks. For a annual free credit report, visit https://www.annualcreditreport.com. You can see your credit score at MyFICO. What Does My FICO Score Entail? These form of credit scores were devised by the renowned Fair Isaac Corporation. About ninety percent of prominent lenders utilize FICO scores to make substantive decisions on credit-oriented issues. These scores are usually calculated from diversified credit data info fragments featured in the credit report. Through careful evaluations, involving keen comparisons between this information and past credit records, FICO scores approximate your prospective credit risk intensities. 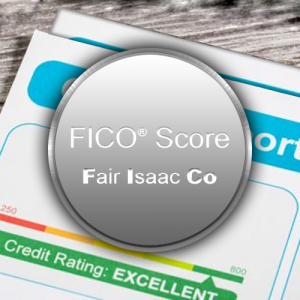 What’s an Excellent FICO Score? FICO scores cover a score range between 300 and 850. A greater score implies lesser risk while a lower score indicates higher risks. So the lower your credit score, the higher interest rate you’ll likely have to pay in order to get access to credit, like a bad credit loan. If you have good credit, you’ll pay less interest and have access to better types of loan products. However, these scores don’t necessarily speak so much about a borrower’s nature. A bad score doesn’t necessarily mean that the customer is unreliable. While most lenders rely on FICO scores to decide on loan approvals, each lender has its own specific lending strategies. There are no standard credit scores for all lenders. And apart from FICO scores, many other factors are taken into consideration while evaluating actual interest charges, such as income, education, and job history. 800+: This is considered excellent credit and you’ll most likely get access to the best rates and terms for loans and credit cards. 740 to 799: This range indicates very good credit and should still qualify you for competitive loan products. 670 to 739: If your credit score falls in this range, you’re in good company. The average American consumer has a credit score of 687, making this a common range that’s considered good credit. 580 to 669: This range is considered below average, but that doesn’t mean you won’t be approved for a loan or credit card. You just may pay higher interest rates compared to people with better scores. 579 and under: Anything under a 580 is considered poor credit. You may be restricted to bad credit loans. Whenever the credit agency calculates a credit score from your credit record, you’ll be supplied with adequate reasons that hugely influenced that picky score. And most often, these reasons tend to be negative since they outline possible causes of the low credit score. In order for your FICO score to be accurately calculated, your corresponding credit report should contain detailed information that’s both reliable and up to date. If your credit history is limited, your credit score could suffer. It’s important to open at least one type of credit account that has been active for at least six months and at one point should have been reported to a credit agency within that time frame. You’ll have unique scores for each of the three major credit agencies: Experian, Equifax and TransUnion. These FICO scores depend solely on the information that each agency documents about you, which generally comes from creditors and lenders who report your account and payment information. Each bureau considers only those details that are available in their own files without really having to outsource any further information. In many cases, your credit score for each bureau can vary. In this instance, a lender usually uses the middle score to determine your loan rates and terms. When changes occur on your credit information, your credit score will also change accordingly. Hence, your last month’s FICO scores could be totally different from what lenders would obtain from the credit agency today.